Anxiety in pregnancy doesn’t have a perfect formula. 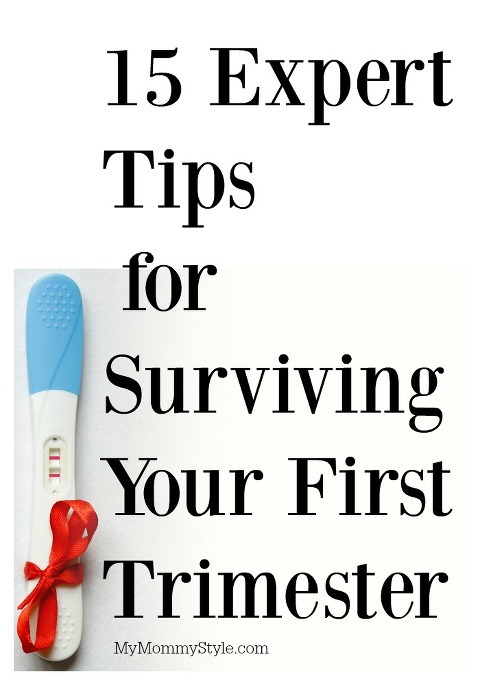 You told yourself that things would be better in the second trimester, but they aren’t. Everyone said you’d be feeling better physically, which is somewhat true. And, you hoped you’d feel less anxious when fears of miscarrying decreased. But you still feel bad. You’re worried that this is a sign that you will be a bad mother. This is called emotional reasoning. You assume that your negative emotions reflect the way things are. “Someone who is going to be a good mother wouldn’t feel this bad. A good mother would be happy and enjoying her pregnancy.” Intellectually you know that this probably isn’t true, but it feels true at times. This is because of the mind-body connection. Pregnancy can be a happy time, but it can also be stressful. With pregnancy comes a lot of change, and many of my clients describe themselves as being “bad with change.” The longer you’re pregnant, the better you might feel physically, but you are also getting closer to the changes ahead. What will you do about work? What will you do about childcare? Can you afford a baby? Will your relationships change? Will you love your child enough? Contemplating these questions can be stressful. Denise conceived on her first attempt. She experienced no morning sickness. She had more energy than ever before. She had always wanted a daughter and was going to have one. All of her tests results were normal. Everyone said she was “so lucky.” Denise started to worry that she was too lucky. No one she knew had it this easy during pregnancy. Something was bound to go wrong, wasn’t it? Denise began to worry that “the other shoe was going to drop.” She became vigilant for potential problems. What-if scenarios started to play out in her mind. She felt like she needed to ask others if they thought everything was “Ok.” People suggested that she “just relax,” but Denise didn’t know how to. She was feeling too distracted to read. It was hard to follow a TV show. She felt fidgety and restless. It was hard to sit still, but she didn’t know what to do with herself. It was almost as if an electrical current was running through her. She had so much to do and so many things to prepare for, but it was hard to get anything done because of constant, simmering stress. “Stress” has become synonymous with distress. Thus, stress has become “bad” and its positive effects are ignored. To a certain extent, stress can be helpful. When you are stressed, cortisol is released. Cortisol prompts you to take action. This promotes your problem-solving system. Stress protects, energizes, and motivates you. Stress can be helpful when it motivates you to take action, pursue change, or strive to achieve. The stress you are experiencing may be a sign that there are important things to begin thinking about and planning for. These might be things that, while important, are not yet urgent. And, you do not want to wait for them to become urgent. This is your opportunity to be proactive and prepared in advance (which, most anxious people prefer). What action can you take to reduce your anxiety and stress? Maintain your social activities. Humans are social creatures. Extroverts need quite a bit of interaction because they feel recharged by others. Introverts need less interaction, but they still need some. Social activities will help you build support. Surround yourself with those who can offer support, share information, listen to you when you share your thoughts and feelings, and help you feel less alone. A strong network of supportive friends and family members is an enormous buffer against life’s stressors. Begin reading about parenting. Is there a parenting style that resonates with you? Learn about a variety of approaches and begin to discuss them with your partner. Explore new moms’ groups in your area. Find out how to join. See if you can connect with women who are due around the same time as you. Do your research now and see if you can begin to build new connections that will provide support in the postpartum period. Lack of social support is a well-established risk factor for postpartum depression. Action you take now might protect you in the future. Maintain confidence in yourself and your ability to persevere through challenges. Recall other stressful situations that you have managed well. What did you do then? Can you use any of the same skills now? Learn how to calm and soothe yourself when you’re feeling sad, angry, or afraid. The ability to bring your emotions into balance helps you bounce back from adversity. People who know how to manage their stress use active coping techniques, including tension reduction activities, relaxation techniques, self-care, and strategies to examine and change negative thought patterns. Stress-hardy people have an optimistic attitude. They tend to embrace challenges, have a strong sense of humor, accept that change is a part of life, and believe in a higher power or purpose. You are doing one of the most important things we as humans can do: you are making a whole new person! It’s not easy, but there are few things in life as important as this. Your ability to manage stress effectively does not require good luck. Stress is a fundamental part of being alive and cannot and should not be avoided! The trick is to ensure that the degree of stress we experience is tolerable and that we develop the skills to manage stress when it becomes painful. By working to build support, increasing your confidence in your ability, improving your outlook and ability to manage emotion, and seeking information that allows you to prepare and engage in problem-solving, you can learn to tolerate stress effectively. Your identity as a mother begins during pregnancy. If you do not have a positive view of yourself as a mother, you are less likely to develop positive feelings about your baby and the demands of mothering. In my opinion, a quality that “good” mothers share is resourcefulness. Consider ways that you have been resourceful during pregnancy: in seeking support from professionals (like your doctors), making decisions with your partner, reading about child development, attending classes, etc. Good mothers are also knowledgeable and prepared. When you take appropriate action–to gather your resources, educate yourself, and prepare–the stress you are feeling will begin to resolve. If you missed our first series of anxiety and pregnancy, check out this post on pre-conception pregnancy anxiety, and the dealing with anxiety in your first trimester of pregnancy. Still feeling lousy? Here are expert tips of dealing with nausea in your first trimester or throughout your pregnancy.